Just a month after LG hosted multiple launch events to make its biggest tech announcement of the year, LG Philippines has taken the wraps off its flagship-phone contender for 2015. Say hello (again) to the LG G4. It’s a memorable device — and I mean that in the best way possible. Perhaps memorable enough to give its fiercest Korean rival (read: the Samsung Galaxy S6) a run for its money. If you haven’t read our primer about the G4, here’s what to expect from LG’s most advanced smartphone to date: a choice between plastic and leather back covers that can be peeled off to reveal a user-replaceable 3,000mAh battery and microSD expansion; a slightly curved 5.5-inch IPS display with a super-high resolution of 1,440 x 2,560; the latest hexa-core Qualcomm Snapdragon 808 processor; and a 16-megapixel, f/1.8 rear camera bolstered by laser autofocus and a color-spectrum sensor for improving color accuracy. 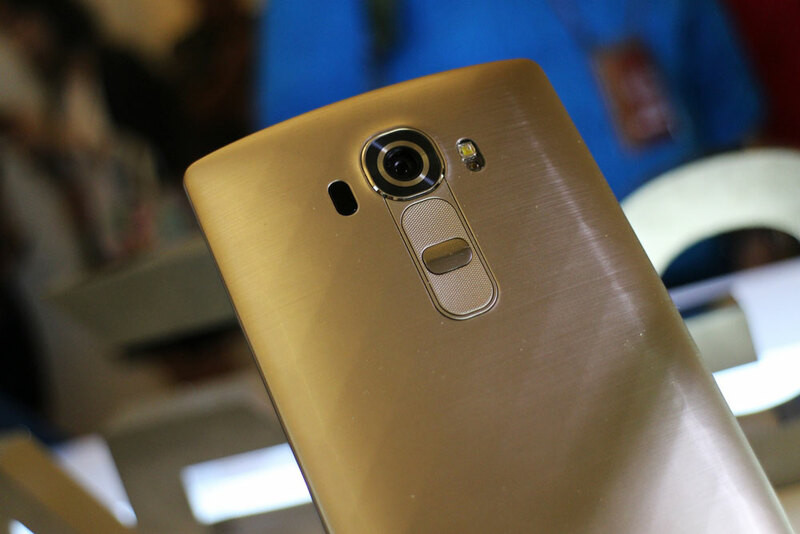 The LG G4 is now available for preorders and will ship starting June 3. The version with a plastic back sells for P31,990, while the genuine-leather variant is priced at P32,990. The LG G4 is every bit as fast as the Samsung Galaxy S6, and it seems to take better photos in different lighting conditions, which is a huge compliment given the latter’s impressive optics. MY TAKE: I’ve spent some hands-on time with the LG G4 today, and all I can say for now is that the Samsung Galaxy S6 finally has a worthy competitor at the top-end of the market. The G4 is every bit as fast as this year’s signature Samsung handset, and it seems to take better photos in different lighting conditions, which is a huge compliment given the Galaxy S6’s impressive optics.